Well, it's no secret that our second annual Academy of Handmade Awards is coming up and we wanted to share with you a video that's a look back at last year so you get a bit of the flavor of what our show is like. It was so much fun and is only going to be better this year. 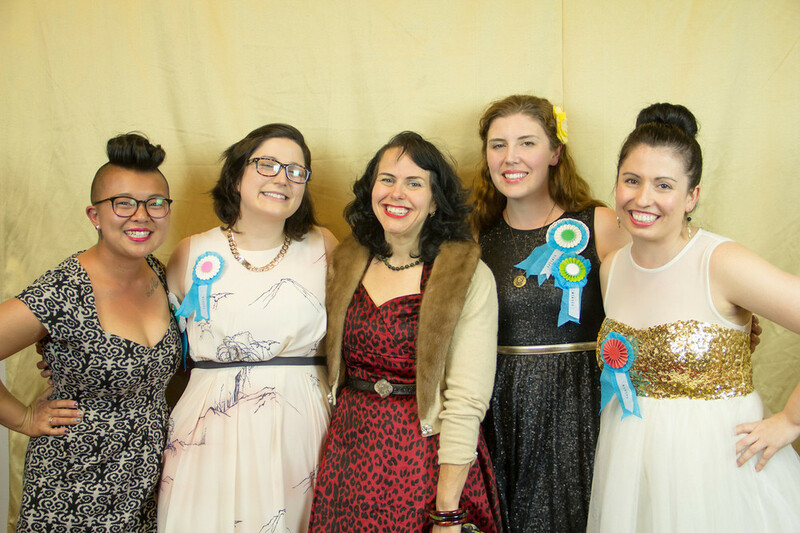 Last year we honored Jenny Hart of Sublime Stitching with our Master Maker award, which we reserve for someone who has been modeling a business that is both pushing their craft forward and is modeling a successful maker business. This year we can't wait to celebrate Erin Dollar of Cotton & Flax as this year's award recipient. Our Best Artists were also truly deserving people and this year we are excited to add a category for supporter businesses. Stay tuned because this Friday we will be announcing the finalists. Here are a few of the photos from last year's event. I hope you will join us this year on March 7 in Downtown LA's Arts District. And big thanks to the businesses below who are making the show possible! Our 2015 sponsors make celebrating makers in style a reality. Please check them out as they all provide great support to makers through their businesses.